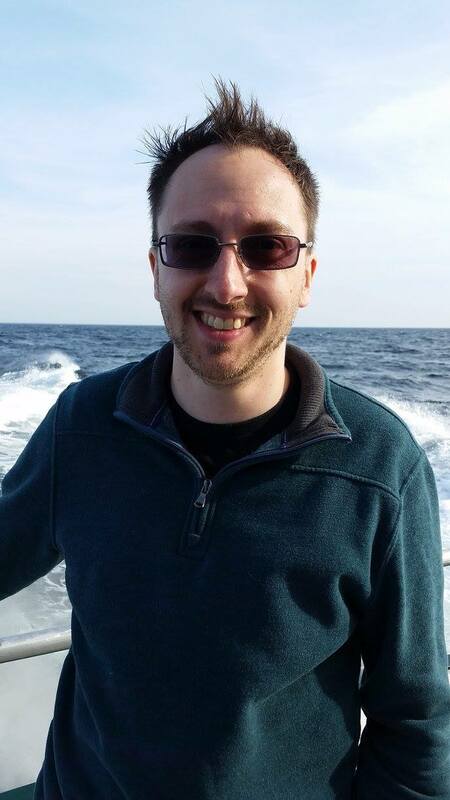 Matthew Murphy is a Visiting Assistant Professor at Salem State University in Massachusetts, and will be a Visiting Assistant Professor at UMass Lowell this upcoming fall, teaching statistics and research methods. He earned his B.S. in Interdisciplinary Psychology/Biology in 2005 from Southampton College of Long Island University, mentored by Dr. Paul Forestell. Research experience there included work at the Pittsburgh Zoo & PPG Aquarium, and work at Brookhaven National Laboratories on a NASA-funded project on radiation's effects on auditory cognition. Matt moved on to Tufts University in Boston where he earned his M.S. in 2009 and Ph.D. in 2014, both in Psychology, under the mentorship of Bob Cook in the Avian Visual Cognition lab. His work with pigeons included absolute and relational control of auditory sequences, auditory entropy, rule-learning, spatial frequency perception, and intraocular visual memory. Matt's research interests include intraocular visual memory and self-recognition in animals. We talked about what got him into the field, why Bob Cook's lab is full of people who give great talks, about a life in science and his dissertation work as well as some of his recent stuff that he just published in JEP with Dan Brooks and Bob Cook.